Hurricane Sandy served as a sobering wake-up call to the ways in which we consume and store energy. Meghan Walsh takes us on a walk through the possibilities of energy's new future. 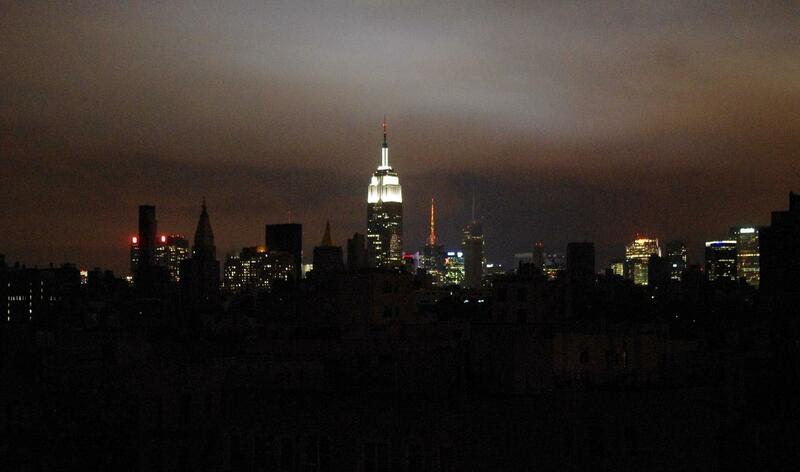 The day after Hurricane Sandy hurled against land 8.5 million businesses and households were without power. Two days later, 4.8 million customers remained in the dark, and the majority of gas stations in affected areas were already sucked dry. Those without generators or the fuel to run them had nothing to keep food or medications cold. They couldn’t charge cell phones or turn on lights. They couldn’t run heaters, even as temperatures in some areas dipped into the teens that week. By day five, 2.2 million people were still cut off. A month after the storm, more than 36,000 residents continued to wait for their power to be restored. And this was in the year 2012. But until recently the mammoth power companies had monopolies. Without competition or government regulation there was little incentive for reform. Renewables have changed that, though, by injecting new options into the market. If people don’t want to purchase electricity from the grid, they can turn to solar. Moving forward this means that consumer demand will shape the power structures to come. 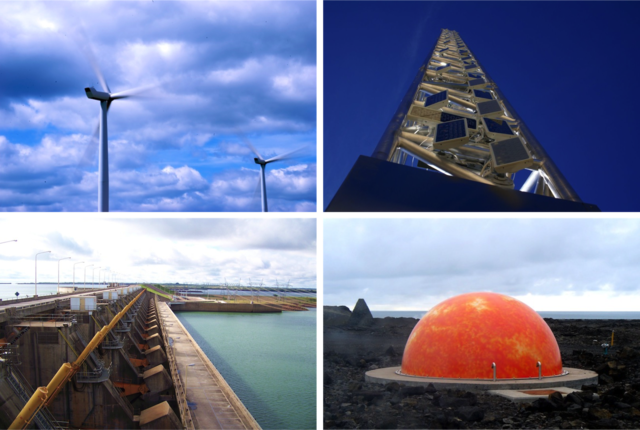 The question is: What will we choose for our energy future? How fast and in what ways will generation, distribution and consumption change? While energy independence on a national level has been on the political agenda since the mid 1900s, self-reliance – as American a sensibility as there is – is hardly discussed. But massive outages like those during Sandy have become a beacon, warning of the obstacles that lie ahead with the current system. In the meantime, the grid is not designed to handle extreme weather or other crisis, such as overloads or domino outages. As we have seen over and over, when one transmission line gets knocked out, it can take an entire region with it – as everything is interconnected. Even those with solar capacity didn’t have electricity after the hurricane, and not because the panels were damaged. It was because these homes and businesses were still tethered to the centralized grid, which doesn’t support isolation. There were some who saw the vulnerability of being totally dependent, though. Just 600 feet from Newark Bay, directly in the superstorm’s path, New Jersey Midtown Community School never had to worry about the lights going out. Eight years ago the elementary campus installed a hybrid backup solar system. So when surging seawater devastated the Bayonne transmission lines, the building’s solar assembly redirected the energy produced from its photovoltaic array away from the dysfunctional grid and toward a generator. Relying on a combination of sun and minimal diesel fuel, the designated evacuation center was able to provide shelter and heat to 50 people the night Sandy struck. 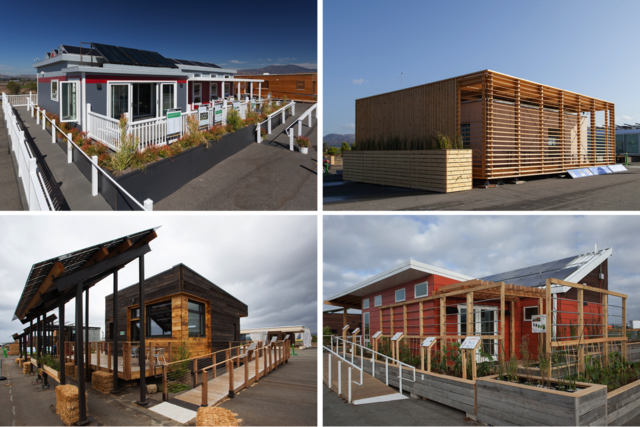 To have a self-sustaining school, neighborhood, or home requires two things: a renewable outlet and reliable storage. While the means to draw from a variety of renewable wells has been around for decades, there isn’t an affordable or convenient means to store this intermittent energy. Though with researchers about to tie the ribbon on a parcel of new developments for the commercial market that may be about to change as well. Industries around the world are in various stages of implementing microgrid technology, something experts say is fueling the storage effort – it’s also caught the attention of financial investors. Microgrids are small distribution networks designed to operate semi-independently while still being connected to the larger infrastructure, just as the New Jersey school was able to. A recent National Renewable Energy Laboratory, a DOE division, report estimates that by utilizing already existing technologies, and developing a more flexible grid, the United States could meet 80 percent of its total electricity needs with renewables by 2050. And within the next 20 years, the federal laboratory says renewable energy production could double, creating about 1 million jobs, saving households at least $1,000 a year, and protecting communities against the outages like those set off last year. The year is 2045. You wake up at 6 AM, while it’s still dark outside. The light, set to a timer, blinks on -- that’s an LED, of course. LED lamps typically consume about 75 percent less energy than an incandescent bulb and last at least five times longer, according to manufacturers. With prices free falling, analysts predict LEDS are on the verge of becoming ubiquitous. Just last month New York City announced it is converting all of its street lamps to LEDs. As you exit the bedroom, the motion detecting light automatically turns off. Outages bring energy management to the forefront momentarily, but concern then seems to fade with the memory. It’s time to start discussing a perennial solution. Since consumers will be the ones to shape reform through their purchasing power and lifestyle changes, there must be a clear understanding of what life might be like with a new electricity approach. To that end, let’s fast forward 30 years. This lighting structure is part of an emerging market of what are called “smart” appliances. These are household staples controlled by digital interfaces and sensors, and are able to facilitate a three-way communication flow between the consumer, device, and utility company. 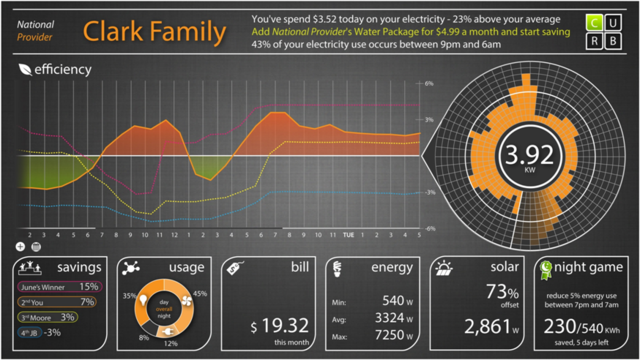 With the data collected, homeowners can get real-time information on their energy usage. A smart washing machine might remind you not to run a load until after a certain time. By waiting, it relieves pressure from the overwhelming demand during peak hours, while also lowering the utility bill by using electricity when it’s cheapest. Smart power strips are another example. These can eliminate phantom loads, the power that electronic equipment siphons even when not on, by automatically switching off after a period of inactivity. According to the National Home Performance Council, there are already half a million smart appliances in use. And a recent Pike Research report predicts the smart appliance market will grow from $613 million last year to $34.9 billion by 2020. “In the future we’ll be in a world where everything electrical in the home will be smart and be able to communicate with the system,” says Gregory Sheppard, a solar and emerging technology market advisor. In the future we’ll be in a world where everything electrical in the home will be smart and be able to communicate with the system. Next you shower, using water from a solar heater, grab the day’s outfit from the clothesline – dryers are one of the worst energy hogs in the home – finish getting ready and head out. First stop: drop the kids off at school. Schools, such as was shown in New Jersey, have been at the front-line of the transformation. After Hurricane Katrina in 2005, NREL researchers worked with New Orleans city officials to build 40 new schools and renovate almost the same amount. The plans included aligning the buildings on an east-west axis, with large south-facing windows for natural heat, smart monitors that only turn lights on when needed, and a system for pretreating humid air rather than overcooling the entire airflow. Builders estimate the savings to be around $75,000 a year for each school. With 100,000 public schools across the country, that has the potential to conserve $7.5 billion a year. Buildings – from offices to schools to hospitals – account for 40 percent of the nation’s energy consumption, and no single factor drives building costs as much as air conditioning. If businesses were to switch to energy-friendly, redesigned evaporative cooling systems, which use water and only minimal electricity to chill air, it could reduce bills by 40 to 80 percent. New Orleans isn’t the only city rebuilding with an eye toward the future. After a 2007 tornado leveled Greensburg, Kansas, the town reconfigured its grid to exploit wind and solar. The new setup cut energy use by 50 percent. Using American Recovery and Reinvestment Act funds, the DOE has invested $3.4 billion on similar smartgrid projects. A smartgrid, ideally, works in tandem with a microgrid. While the terms are often used interchangeably, they carry different meanings. Here’s the overall concept: a modernized utility web that relies on both centralized and decentralized sources of power – making it able to operate independently – as well as smart technology that promotes demand response. Now, in real life this could look like a community with individual home solar power and battery systems that are supplemented by a city-owned photovoltaic farm and storage center. Then it’s all connected to the encompassing, utility-run grid, which derives its power from a variety of sources. Those could include coal, biomass, petroleum, hydro, or natural gas. With everything is operated using smart meters. It’s been called electricity with a brain. The way it works now customers pay an average price for electricity regardless of the demand, providing little incentive to cut back during peak hours. This drives costs up for everybody. Since the utility companies must power up and down to meet dramatic swings in demand, there is a constant ebb of shortages and surpluses. And more than 70 percent of that power still comes from carbon-emmitting natural gas, coal, and petroleum. Through the use of renewable sources and smart technology, microgrids have the potential to reduce greenhouse gas emissions an estimated 60 percent, according to a University of Michigan study. Already universities and military bases here and entire countries around the world are in various stages of implementing microgrid infrastructure. Princeton and Harvard own and operate their own microgrids. So does Fort Bragg military base. Japan has spearheaded the individualized approach through its storage technology innovation, and its energy agency, NEDO, is currently working with New Mexico to co-fund and develop similar projects. Connecticut recently invested $18 million into decentralizing its electricity and has slotted another $30 million for its microgrid pilot program. With the kids at school, it’s on to the office, where your electric-vehicle can charge that in a parking garage roofed in photovoltaic panels. NREL has designed a garage that claims almost net-zero energy -- parking structures typically use about 15 percent of the electricity associated with the building they serve. The architecture was drafted in such a way to make use of natural light; so artificial bulbs only have to be used at night. Even then there are motion sensors that only turn on lights as someone moves through an area. Green builders have demonstrated that it’s possible to design new buildings and houses that are 30 to 40 percent lower in energy intensity than a typical up-to-code construction, with little or no additional costs. 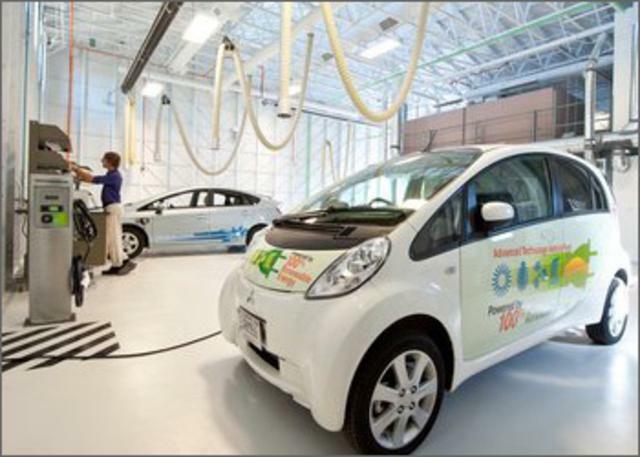 In the case of the NREL garage, it’s 90 percent more efficient than its standard counterpart. Many anticipate that in the future – oh, wait, we are in the future – all buildings will be designed to be net-zero. For homes and buildings, the sun is the most efficient renewable source. But it still isn’t widespread. People have the misconception solar is an expensive investment -- because it used to be. The cost, however, has dropped significantly since the 1990s and many companies will even install solar systems for for free. For instance, a broker will set up the panels at no cost, and then charge for the electricity produced at a fixed rate lower than what utilities charge. For the past five years, two-thirds of home solar installations in multiple states have been in lower and medium income zip codes. For 100 years we’ve had no choice what we were being sold and at what price. Now we have the option to get something cheaper, cleaner and more reliable. The empowerment of the consumer is what’s going to drive this market. With residential storage, Sheppard says, the sun could generate up to 20 hours a day of a home’s electricity needs. This will be the key to decentralization. The problem is consumer storage technology is still about five to 10 years away from being economical. While there are a variety of technologies being explored, battery-based systems seem to have the most potential for residential purposes. 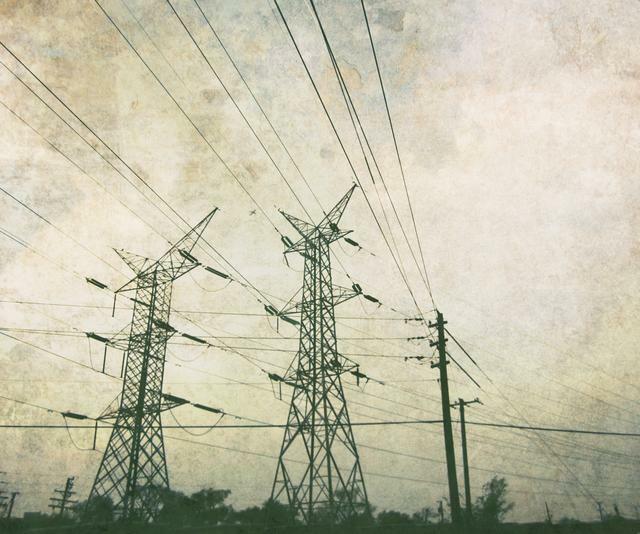 For microgrids to go mainstream, storage prices must continue to drop – or more like plunge. Once that happens, investors are betting on drastic changes in residential utility infrastructure. Analysts at the advisory firm Lux Research predict energy storage could yield a $2.8 billion market over the next half decade. Bi-directional charging for vehicles can be used to not only power cars but the batteries can also used to power homes. 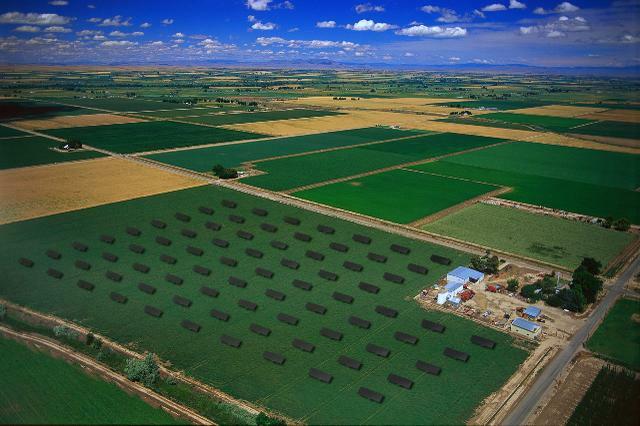 (Photo: NREL). The battery in an electrical vehicle can also serve as a storage device. The federal government is working with Toyota to research ways of integrating plug-in electric vehicles into the power grid, which the Japanese are already doing. It’s called bi-directional charging. The average vehicle sits undriven for 20 to 22 hours a day, and only takes 2 to 4 hours to charge. That means you could charge the car during the day and then use whatever is stored in the battery to power your home at night. Emergency vehicles or unused fleets could be particularly useful in this capacity. The workday comes to an end, and you head home, where you plug the car/battery back into your personal grid. At that point, you might wash a load of laundry since it’s off-peak hours or watch a show on your Energy Star approved television, which are on average 25 percent more efficient and have standard models almost obsolete. Getting the public to use energy efficiently may prove to be just as impactful as producing energy more efficiently. Though, it may be more difficult to achieve. Homeowners are hardly cognizant of their impact on the grid because electricity has been such a modest portion of the budget. So families don’t think twice when they simultaneously run the washing machine, bake dinner in the oven, run the air conditioning and leave every light in the house on. While smart appliances and meters will refine the way people manage home energy, without financial incentive or government intervention the public disposition is unlikely to change much. This summer, California’s public utility commission issued a proposal that would mandate renewables account for one-third of the state’s energy supply by 2020. The legislation also requires the creation of 1.3 gigawatts of storage – enough to power more than a million homes – to support the grid in that same time frame. As the first regulatory policy of this kind, it’s expected to fuel the storage technology race that has sputtered along without a strong market. And with the Senate introducing a program earlier this year that could fund $7.5 billion worth of new storage projects, investors are seizing the potential. Getting the public to use energy efficiently may prove to be just as impactful as producing energy more efficiently. Though, it may be more difficult to achieve. Meghan Walsh is a writer and editor living in the Bay Area. Her work has been published by The Atlantic and Bloomberg Businessweek. Colin Pye is a strategic creative director, who delivers innovative, insightful and effective digital experiences for major brands. For over four years at the creative agency Rufus Leonard, he has created many visionary pieces for British Gas, the largest energy company in the UK.